Every now and then, when you close Windows Media Player(WMP) and at once try to open another file via WMP, Server execution failed error might pop up. It’s a good thing we’ve found the effective solutions for you. Following are 4 tried-and-true fixes for Server execution failed error. Read on to find one help you fix the error. 1) On your keyboard, hold down the Shift and Ctrl keys together, then press Esc key to open Task Manager. 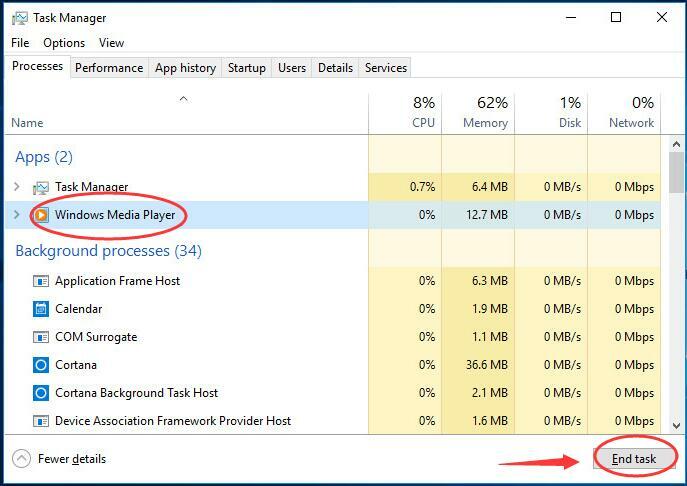 2) Click Windows Media Player under the Processes pane. Then click End Task at the bottom right. 3) Check if you could open Windows Media Player successfully. 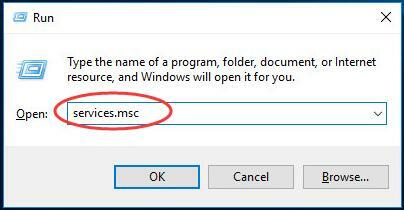 2) Then type services.msc in the box and press Enter. 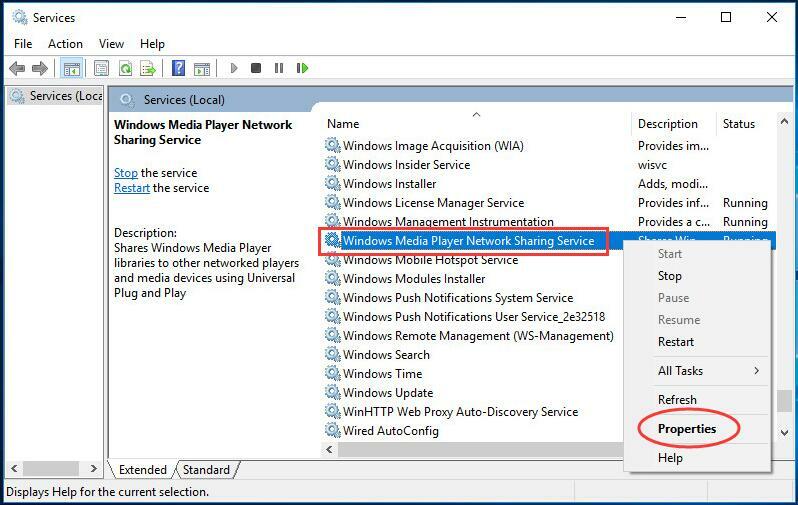 3) Scroll down to find and right-click on Windows Media Player Network Sharing Service. Then click Properties. 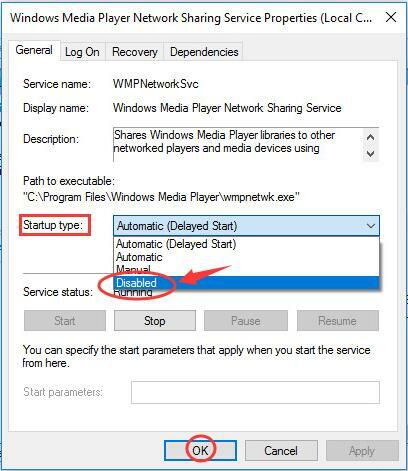 3) Under the General pane, set Startup type to be Disabled. Then click OK.
4) Restart your computer and check if you could open Windows Media Player. 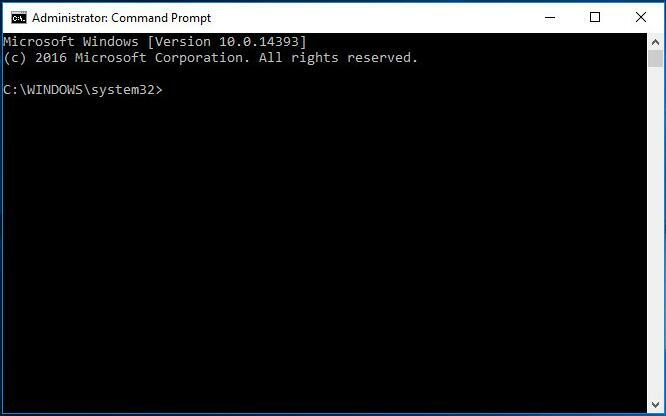 Find and right-click on Command Prompt from Start menu. 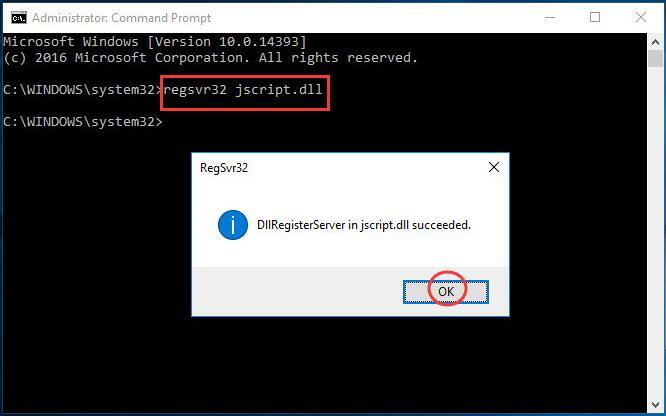 2) Type regsvr32 jscript.dll and press Enter. When it’s done, click OK.
3) Go on to type regsvr32 vbscript.dll and press Enter. When it’s done, click OK. Close the command prompt window. 4) Check if you could open Windows Media Player. 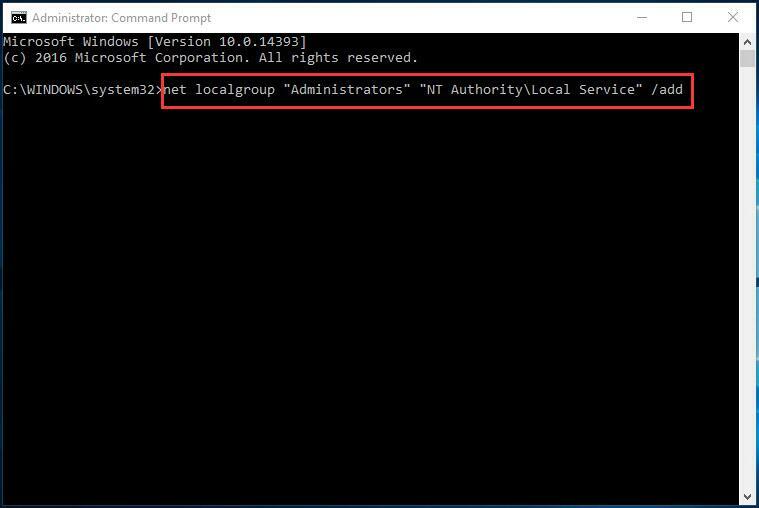 2) Type net localgroup “Administrators” “NT Authority\Local Service” /add and hit Enter. 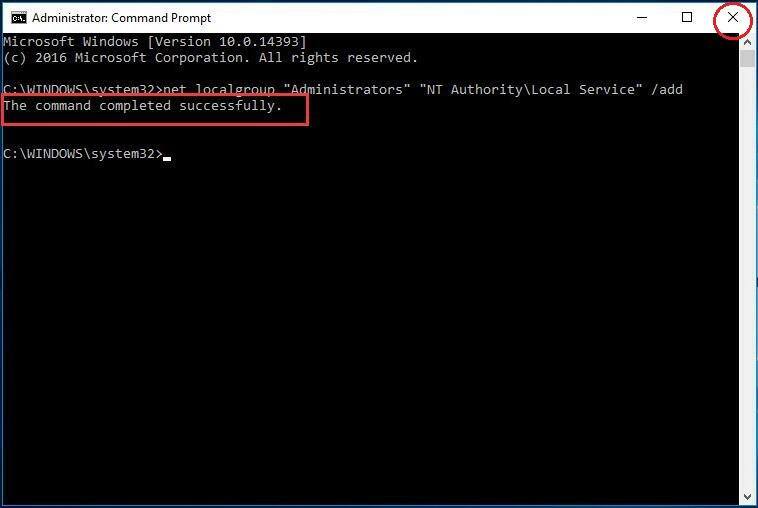 3) When it’s done, close the Command Prompt window. That’s all there is to it. Server execution failed error on your computer should be fixed now. If you have any suggestions or problems, just leave your comment below to let us know.